A thin polystyrene insulation barrier with effective acoustic properties to reduce contact noise. Warmup Insulated Underlay sits between the cold subfloor and the Foil Heater, reflecting heat upwards therefore making the underfloor heating system more efficient and effective. The foil backing acts as an effective moisture barrier. 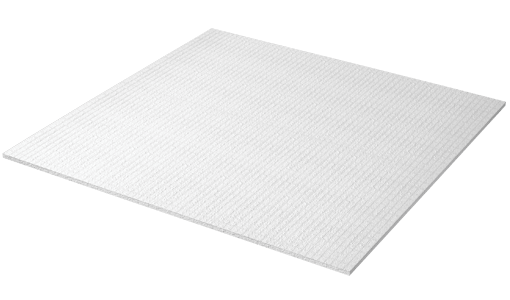 The Insulated Underlay has been specially developed for installation under the Foil Heater and Dual Overlay as part of a complete and stable system.